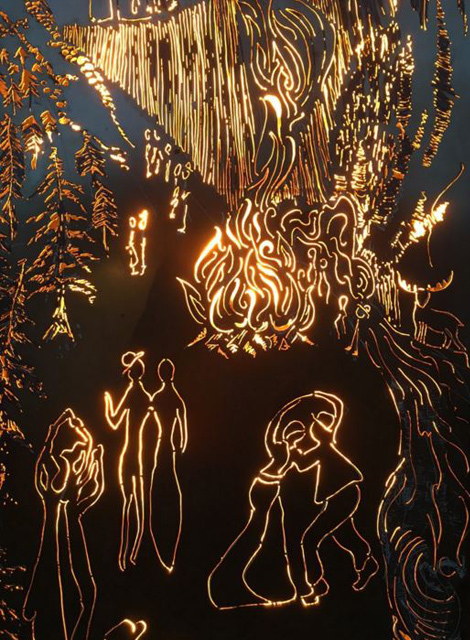 Dulwich Picture Gallery commissioned us to install our Fire Garden to help bring an added creative dimension to their winter exhibition of the works of Norwegian artist Nicolai Astrup, famed for his pictures depicting community bonfires in rural Norway. Our Fire Garden is a hugely popular installation featuring a range of metal-crafted flowers and other organic forms that are animated by fire and gas burning systems. Installed in public places or private gardens, visitors get the opportunity to get relatively close to a varied mix of fiery works of outdoor art. 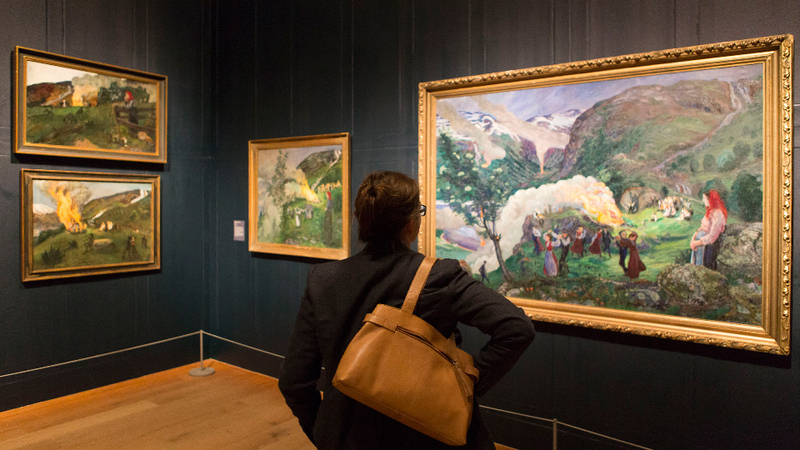 Dulwich Picture Gallery were really keen on this particular installation given that one of their key exhibitions during the winter season was the work of Nicolai Astrup, a 19th century Norwegian artist whose naïve paintings captured rural life in remote communities. One particular feature of his work is his paintings of bonfires staged by communities during the typical long summer evenings enjoyed by Nordic countries. So, as part of our installation at Dulwich Picture Gallery, we commissioned Hannelora Johansson, one of our established artists, to create some new fire boxes based on woodcuts of Astrup’s work. 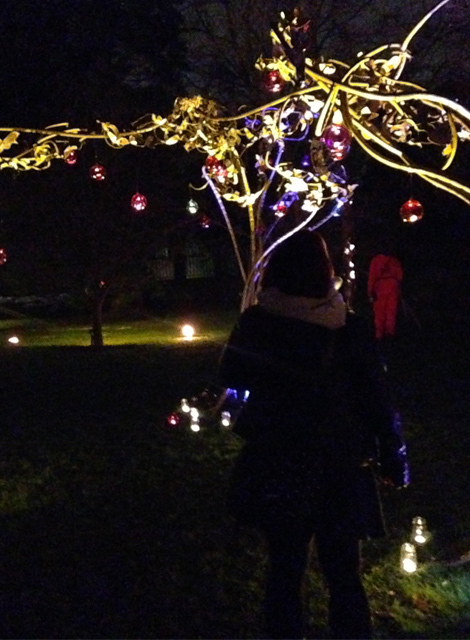 This gave a topical element to the Fire Garden and helped convey the wider theme of his work. Both the exhibition and the Fire Garden, which were ticketed events, were completely sold out prior to opening.